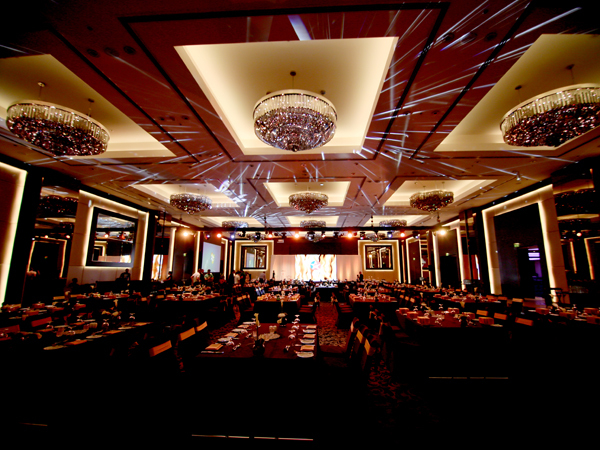 With Ultratech Abu Dhabi Gala Dinner Event Supply, you will just relax and enjoy yourself at your gala dinner in Abu Dhabi after all that stress and running because there will be no reason not to sit back and just enjoying an occasion covered from beginning to end with extreme aptitude for perfection. No matter what was the type of gala dinner in Abu Dhabi you have in mind, no matter if it was big or small, private or public, we will confidently help by providing Gala Dinner AV Hire and all services. As Gala Dinner Event Supply, we will enable you to make most successful of entertainment and amusement to your clients or guests, and that is why we develop our gala dinner in Abu Dhabi proposals with the sole aim to impress all attendees with distinctive unique event quality. We have it all; the experience, imagination, originality and competence to make your gala dinner in Abu Dhabi the talk of the town. Our specialists will make sure to deliver an unforgettable gala dinner in Abu Dhabi, a whole tailored services, such as Gala Dinner AV Hire, to create a unique party like no other. We work with you from the beginning, creating the right conception for your gala dinner in Abu Dhabi and ensuring a superb venue, menu, a context and services of highest of standards. As Gala Dinner Event Supply, providing all services such Gala Dinner AV Hire, just set back, wear your fanciest of clothes, look great, and enjoy the best party and gala dinner in Abu Dhabi. We will absolutely make your occasion the most memorable party ever.